View on "Cha Gorreana", one of the few tea plantations in Europe. 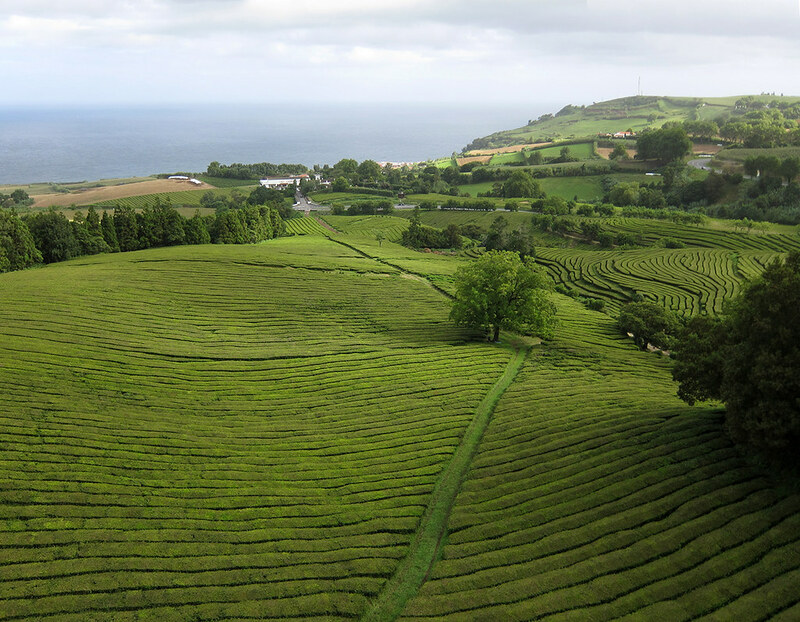 Early contacts between China and Portuguese explorers led to initial trials of tea production on the island of Sao Miguel, the main Island of the Azores archipelago in 1750. But only in the 19th century two tea experts from then Portuguese Macau introduced the art of commercial tea cultivation, with the first tea being produced and sold in 1883 under the family compound of Gorreana.